Young Ishwar Chandra stared at the magnificent building that housed the the Sanskrit College. He had been admitted to the college and there he was, with his father Shri. Thakurdas. The central part of the building was fenced off from its side portions by an enclosure. There were also walls surmounted by iron railings around the central part. Ishwar Chandra was puzzled. “Why is this building fenced like this, father?” he asked. “But why should they be kept out?” asked the boy. “So that they don’t mingle with each other. And now, let us go in and meet the teachers,” said his father, putting an end to the questions. At just about nine, Ishwar Chandra was struck by the absurdity of the whole situation. ‘How can one human being be so superior to another, that even coming in contact can contaminate him?’ he wondered. It was just the beginning of a lifetime of such questions for him. Unlike many others, though, he didn’t merely stop at asking the questions. He set out to remedy the situation when he had the authority to do so, later on in life. He soon got immersed in his studies. The course was vast. One had to first master the Sanskrit grammar before going on to study various other courses like, literature, rhetoric, Vedanta, smriti and nyaya or philosophy. It took a student 12 years to complete the entire course. Grammar was not easy. The rules were too complex and he had to sit up late nights to master them. It took him three years to finish the course of grammar. In those days, when one completed the entire Sanskrit course except the philosophy course, one could earn the title of Judge Pandit and become an advisor of Hindu law to the District judge in civil courts. Ishwar Chandra earned the title and also that of ‘Vidyasagar’ and he got such a post. But his father wouldn’t allow him to take it. “You still have to complete the nyaya course,” he reminded his son. “Qualify yourself first before beginning to work.” And so Ishwar Chandra continued his studies, and in 1841, when he was 21 years old, he completed his studies. He won over Rs.250 in cash awards and scholarships — a princely sum in those days! He got a job of Sanskrit Pandit a few months later, in the Fort William College. In 1846, he returned to his alma mater, the Sanskrit College, as Assistant Secretary — a post equivalent to that of a vice-principal of today). For Ishwar Chandra, this was an opportunity of a lifetime — to introduce some much-needed reforms in the educational system. He had not forgotten the arduous Sanskrit grammar, or the way the pundits came at their convenience, regardless of the college timings. Among his recommendations was a rule that stated that attendance be made compulsory for both teachers and students. Punctuality was another one of the rules. He also recommended a change in text books and regrouping of the subjects. There were other suggestions too. He sent the document to the Secretary (Principal) Shri Russomay Dutta. “Who is this upstart to impose rules on us — his teachers, who taught him barely five years ago?” fumed the teachers and expressed their displeasure. Needless to say, the Secretary rejected the recommendations. Vidyasagar resigned in protest, barely six months after joining. “How are you going to survive without a job?” asked his friends. “I would rather sell potatoes in the market to earn my living than serve an institution against my principles,” he replied. However, he got the chance to serve Sanskrit College once again in 1850, as Professor of Literature and went on to became the Principal in 1851, when Shri. Dutta resigned. This time around, the Council of Education itself asked him to recommend changes to improve the working of the college. He submitted a ten-page report. It included removing the restrictions on admissions on the basis of caste and throwing open the college to everyone in addition to his earlier recommendations which had been rejected some years back. “How can you even think of imparting sacred knowledge to the ‘Sudras’ (people of low caste)?” asked his old teachers aghast at his bold move. Fortunately for him, the Council accepted all the recommendations and soon the college was opened to everyone. One of the social injustices that had bothered Ishwar Chandra as a boy, had been rectified. He then set about simplifying the teaching of Sanskrit grammar. He introduced a simple way of teaching beginners the fundamentals through Bengali grammar. He also started a printing and publishing firm with a little investment. One of his lasting contributions to the printing industry was his simplification of Bengali typography and composition used in printing. He was associated with several Bengali and English newspapers and periodicals. He wrote about subjects like widow remarriage, educational reforms and against polygamy, in these papers. He next turned his attention to the education of girls. Between 1857 and 1858, he started 35 schools with a total enrollment of 1300 girls. This was a path-breaking achievement in the conservative society of those days. Another social evil that disturbed him deeply was the plight of child widows who were condemned to live like social outcastes. So he began to fight for their remarriage and rehabilitation. Being a realist, he also knew that unless such marriages got social sanction, they would not be successful. So he incessantly canvassed for public support through his writings. His vast knowledge of the scriptures helped him to argue his case, by quoting Sanskrit texts, which referred to them. But he still had to face stiff opposition. When he actually conducted the marriages, many of his supporters and admirers were reluctant to be publicly associated with them. Vidyasagar ruthlessly severed connections with such hypocrites. He spent a lot of money in conducting these remarriages. He bought gifts and jewels for the bride and often had to borrow money from friends and well-wishers to pay for the expenses. Many unscrupulous young men took advantage of his goodness and came forward to marry the child widows. But once they got the gifts and jewellery, they abandoned the brides. Such incidents saddened Vidyasagar, but it only made him more determined to be more careful and continue fighting. He incurred huge debts due to his social work. Apart from vilifying him for desecrating Hindu culture, his detractors also harmed him physically. Stones and dirt were thrown at him on the streets. Some actually planned to kill him. Once he came to the house of a rich acquaintance whom he had heard of planning to kill him. Needless to say, the said man hung his head in shame. His publishing firm soon picked up enough profits for him to pay off his debts. His ceaseless campaigning for legal sanction against widow marriage finally bore fruit and in 1856, the Widow Remarriage Act was passed. He lived to see the movement spread to other states, notably Maharashtra and the southern states. All through his life, he worked for the betterment of the society at large, with no thought for himself. “Vidyasagar had the genius and wisdom of an ancient sage, the energy of an Englishman and the heart of a Bengali mother,” wrote his friend and poet Michael Madhusudan Dutta, praising the great social reformer. Ramakrishna Paramahamsa called him a ‘great sanyasi’ who sacrificed his own interests for the sake of society. Today, when the plight of the girl child and the condition of women in the society seems to be no better than it had been in the 19th century, we need someone of the same idealism and grit as Ishwar Chandra Vidyasagar to bring about a radical change in the society – someone who doesn’t fall prey to populism or get marked by the corrosive effect of power and the attendant corruption. I am sure such a person exists amongst us – in each one of us. All we need to do is awaken the person and fight for the right cause! You took me back to my childhood days of reading biographies of such wonderful people..except I have not read Vidyasagar in such detail before. Thank you for this post. In my class, we were discussing the prevalence of child marriage in high rates, poor women’s literacy in Bengal..and today I ponder over the irony that the state that saw many fantastic reformers, both men and women who worked for women and girl rights should still be in such a pathetic state. Zephyr would you also write about Jyotirao Phule and his wife and the work they have done for girls,specially of depressed castes? These biographical sketches were written many years ago after painstaking research into volumes about them. I am not sure I am up to that kind of work now, Bhavana. But if I am, then surely Jyotiba will be the first on my list. I have read about him in my school days and have read a book about him in Kannada. Remember reading his moral stories’ book too. But my children do not know anything about him because he was not mentioned in their school books. They know a lot about famous people of other countries than ours! We don’t remember people like Ishwar Chandra because he is not featured in magazines or TV. These are the only media our current generation follows. I checked just now and his stories are available online! My mother and her sisters were married off at the age of 11, 13 etc. That is not followed here now, thank god. As you said his work should have reached central and North India too and here, in deep down south. Widows are allowed to participate in social functions now. Maybe education is helping to eradicate these evils but very slowly. Thanks for re-introducing him here, Zephyr! And he’s rightfully called the father of Modern Bengal. A man who thought ahead of his time and challenged the ills that were considered the norm It’s men like him who help us transition towards progress. I studied in Kendriya Vidyalaya, whose curriculum was solid, but unimaginative. However, most of our teachers did try to make things better for us. In class 8th, our Social Studies teacher announced that the project theme for the first term was “social reformers” She divided the class into groups of 5 with each group choosing a social reformer to work on by consensus. Our group chose Ishwar Chandra Vidyasagar. This was in the 80s, so our research was based on library work and pestering family members for information. One of my group members was Kakoli was a Bengali and her father painstakingly translated articles on him from Bengali for us. I contributed my Amar Chitra Katha and a book that my father had on him. Someone from my group sketched him and his life story, another one wrote it out, a third made the presentation on Vidyasagar … That project was the best way for us to learn about social reformers in general and Vidyasagar particularly. Reading your post brought back memories of that project and Vidyasagar, someone I left behind a long time back. I am not very proud to admit this fact, but there are you are. Thank you, Zephyr, for these biographical posts which nudge us to remember those we have forgotten and whose struggles have paved the way for an easier life for many today. We didnt study him in school..Though we had a lot on activists and saints in Maharashtra..Their life on comparison seems similar…not a easy way to live.. They strode the earth when idealism and altruism still ruled, Rahul. Today we won’t find people like him being praised or written about. They would be languishing in anonymity while the crooks rule the media waves. Thank you for sharing this. I was totally unaware of such a prominent character who has played such an important role. And true, there are many good samaritans who just need a little push and a little more confidence to come up and face the world! It is really a pity that text books these days are ignoring real reformers and makers of the country pre-and post Independence. they read about MArtin Luther King and Madela but not our own reformers. Isn’t it sad? I am glad that you liked this one. I have some more, which I will post sometime. You took me back to school days!. In 8th Class, we studied about him in Social studies. I was very impressed by his work, and used to remember that text book often in life. It was a good introduction in formative years. Do they teach about him , in school, now a days? Is social studies a good subject now? Wonderful tribute , through your post Zepyr. I wish many many people will read your post. Wish you will post in a Tamizh blog too. I think children need to know about our social reformers, as much as they learn English maths and science. History ,is important in laying the foundation , in formative years. We can only pray for the miracles, in this confused society .All the best for your wish. Thanks for sharing! We need not one but many people like him! Oh, if we all exhibited some of his determination and idealism, there would be millions of him, Giri. Great reformist of 19th century. Thanks Zephyr for making us to wear our thinking caps and do our bit to the society in return.The challenge will be how to approach the whole issue and further understand them in proper perspective and sensitise them. The atmosphere is vitiated to such an extent that the need of the hour is that each one of has to stand up in whatever way possible to dispense our share of responsibility. I would like to share an incident during my college days. Myself and one of my friend(a sort of Bhai ) were on our way to the ground ,saw a couple fighting. The man was thrashing his wife we intervened and gave him nice bashing and went away thinking that we acted as a gd Samaritan. We came to know in the eve that authorities are are on lookout for us. Can u imagine the who the complainant was. It was the lady!!!. What I am trying to convey is that task is onerous. Let us give a try sincerely towards the cause. Good to reminded about the pioneers, men & women, who acted for the education of women. Most young women today tend to take freedom for granted, since they do not know about the struggles for women’s education. Nice to see you here, Joseph. Don’t we all take freedom for granted? Why go back that far, when I was growing up, we had to fight for the right to get a higher education and had to make so many compromises in the bargain. Even today, the rural women have a fight on their hands in matters related to education. 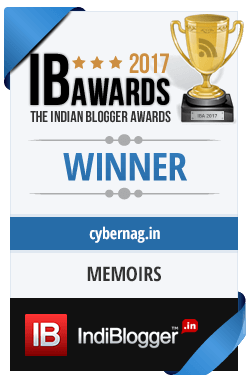 I first came to know of you and your blog from one of my most sincere & honest students, Deepthy Menon, SIMC-2001, who wrote about shoes as a guest writer on your blog. Since then, I have been a regular reader. Do have a look at my blog “Against the Tide” (http://sangatizuzay.blogspot.com), when you can make some time. I am writing a memoir on my mother the late Amy Pinto (1925-69). The first five parts are on my blog. Do keep up your straight-forward and frank style, rare in these days. Joseph M. Pinto, Pune, India. So thoughtful of you to post this one. Things have changed so much, but all his ideas are equally relevant in today’s times. We need to enlighten ourselves, and teach young kids to respect women. That is the only way which can improve the situation, some years from now. I have read lot of anecdotes about him but did not know his exact biography – thanks to you. I do not related much to women’s issues at a personal level though having always been in environments where men and women are treated at an equal footing – having had a dominant mother and grandmother, very successful aunt, professionally more successful wife and reported to women bosses for good part of my career. I have read a lot about Ishwar Chandra Vidyasagar and sadly such people only remain as the unsung heroes while we talk more about the ‘famous’ ones. He was a perfect inspiration to each one of us to remember to be the change we want to see in the world! The best thing about them is that they did it so selflessly, scarcely stopping to think of what they are getting out it, unlike most of us today who donate to save tax or do voluntary work to show it on our resumes. It is only when service comes out of commitment and idealism that it bears fruit and brings in a change. So the best way to start doing it is in our immediate surroundings. I didn’t know this much about him Zephyr so I am glad you shared it here. At least we can try and imbibe some of his teachings if not all. I am so glad I wrote this too. I had no idea that so many people have not heard of him! It is all a power thing. It is the power in the wrong hands that make all such injustices happen. Why can’t our women leaders do something? Or are they only politicians intent on amassing power and wealth much like their male counterparts? Sometimes I feel ashamed to call them leaders even. Progress? It is only for the politicians and the rich, not for the others. We need a mass awakening and it is not going to come anytime soon, given the me-first, only-me culture. I had read about him long back and forgotten too. Shouldn’t have, maybe it is because of him that I got an education. Just as Joseph Pinto has pointed out, we should keep refreshing our memories of such great people if only to be grateful for the fruits we enjoy because of their dedication. This is a beautiful post Zephyr. I do not expect the current generation to follow his principles but yes, we can try. Imbibing the feeling of respect for each other in the next generation can go a long way. We need to make things more understandable for this generation. For them terms like child widows and caste terms might be alien unless they are living it, as in the rural areas and backward areas. They would understand honour killings and khap better. So we have to draw parallels to illustrate these great men and women’s contributions to the society. “I would rather sell potatoes in the market to earn my living than serve an institution against my principles,” he replied…this is the sort of determination needed to bring some change..most of time people accept defeat here..
no RM, i think when i studied i studied chapter on him.. i still remember it was a 3 mark question.. but yes i studied it for sake of marks, it didnt sink in,, may be lost the essence because of wrong teaching techniques..
thanks patti, for re-bringing the topic in my life, and make be truly understand what i studied, why it was taught to me..
Our text books are a sham these days. Glorifying a select few, pandering to the whims of the party in the Centre and changing history too. So it is best to look for these heroes outside the text books and teach our children about them too. Superbly written.There are always a few men and women ahead of their times and who fought relentlessly for their convictions.The names of Ishwar Chandra Vidyasagar and Raja Rammohun Roy stand out as champions of women’s lot.Many cruel practices have gone but women are yet to get political and economic power.There is considerable resistance.But these alone would change their social standing too. You are right KP. there is political equality and even economic equality to some extent in the urban milieu. But our rural and uneducted sisters are still languishing in squalor and inequality. Ideally the former two should even things out, but the benefits are not reaching the rural masses. We have become a selfish society where the rise of the self is paramount. So there is little chance of a giant like him ever being born. But we can awaken our own Ishwar Chandras within us. A lovely post about the grit annd determination and the ‘power of one’ to bring change.You are right that nothing much has changed except being branded as a modern developing state where more than half the populace lives in worse conditions than in jungles of Africa! There is a law in the jungles Rahul, but our society is above even the laws of the jungle and so anarchy reigns and apathy breeds. As you say, we can be the change! The first step would be to not shun someone who dares to be a non-conformist in these matters! My personal story is that of my grandmother’s, who dared to remarry when her husband died at a young age. Her family accepted her and loved her just the same; the same cannot be said about many, many others, who severed contact. Exactly, Roshni. We each can do our bit in the society to bring about a subtle change, albeit slowly. Sometimes the one taking a step against the current might be bold enough to beat the current, but sometimes they need help from friends and well wishers. And we can be those…Severing contact when she needed all the support must have been cruel and it is a measure of her strength that she withstood it. My salutes to her! I remember reading about Ishwar Chandra Vidyasagar as well and the one episode of his life that stayed in my mind reads thus: Ishwar Chandra was invited for some dinner (with Englishmen, IIRR) and he came to the dinner in his usual attire – dhoti, turban etc – and was not allowed inside and as the dress code for the event was to wear a suit. So he went back, slipped into a suit and came back to the dinner. At the dinner, he was found not eating but trying to feed his suit and when the puzzled hosts asked him, he replied that it was only the suit that was invited to dine not he – the person – as when he was attired differently he was not allowed inside. On hearing this, many heads hung in shame and apologies ensued. That is a wonderful anecdote about him. I had not read it before. simple living and selfless service — both characterise his personality. Maybe that’s why we don’t find the likes of him today. We publicise and broadcast all our work done for the society and try to get something in return, if only fame! A thought provoking end to a post about an inspirational person. I hardly knew anything about him. This will be a perfect read for Siddharth. Is this story in your published book? As I told Latha, it needs to be made into a story for Siddharth, who is about the same age as her son. No, this is not part of my book. That deals with living legends in various fields. Glad to read this post. Have read about him in history books in school which were long forgotten and lying under the debris of the brain. I keep wondering many times, don’t such noble souls exist anymore? Even if they do, will they be able to make revolutionary changes like them? May be there is a person in each of us. Only that we don’t want to bring it out and fight for a cause. An inspiring read, I want to tell his story to Rushi tonight. Thank you for writing this. society hasn’t changed much. we still have people who would want to change the way things function and we have these detractors as well. unfortunately, these detractors are more powerful and organized these days. lovely post Zephyr!! Reading something about him after almost 30 years. These are insightful anecdotes about Ishwarchand Vidyasagar. I am sure enrolling 1300 girls for school and ensuring a bright future for the girl child must be a revolutionary step in those days. Sadly even today not much has changed in remote rural areas. You are right. Enrolling so many girls and building so many girls’ schools was phenomenal for those times. And today we can’t even ensure that girls have the same freedom as boys to choose what they want to study and where to do it. And it is not just rural areas, even in the urban milieu, there is a lot of change needed vis-a-vis women’s issues, and as I pointed out in another comment, I am not talking about lifestyle changes. Thank you for writing this wonderful post about a wonderful man. It indeed takes a lot of heart, courage, endurance and will power to even dream about bringing about such drastic changes in a backward thinking society, let alone execute those changes so effectively. I can only imagine the hardships he must have gone through to get these reforms done and how much satisfaction and pride it would have given him. A man who is ready to risk so much (his job, his money, his life) for the cause of others is truly a noble man. And you said it right… our society has not abandoned its vices despite the attempts of such great people. And today we need more such people; in fact we need to be those people to bring about change in the society. It need not be anything earth shattering; but even baby steps would go a long way in ridding the society of its evils. We each have to imbibe something from such great men’s lives and begin making the changes around us in whatever little ways we can. Unfortunately as others have pointed out, school text books do not give us the life stories of such reformers and educationists. And as another commenter has pointed out, women who have the benefit of good education should pause to thank such great people who were instrumental in making it possible. I am glad you liked it, Raj. Alongside wishing for another Vidyasagar it may help for each individual to at least inculcate those values in their own families. The ‘educated’ have not lagged far behind the others in maltreating women. The condition of women today is no better than what is was in the nineteenth century? An interesting judgment. The moneyed are the new ‘upper castes’ today, DI and so they get all the privileges at the cost of the poor. Only this divide is going to create an explosive social situation soon and we will have nowhere to hide, for it will be both an economic and social upheaval. As for what you call ‘judgement’, it is more an observation and a relative one at that. For we can’t compare the situation of a century and half ago to that of today and say we have come a long way by way of women’s rights. If education was taboo for women in that century, today there are many other things that are forbidden to them and I am not talking here about lifestyle freedom like the freedom to dress and go to the pub, but basic ones like nutrition and healthcare. And that is saying something. Even today widows are discriminated against socially and culturally. Thank you for sharing this, Zephyr. I must confess my ignorance about Ishwar Chandra Vidyasagar. We can’t keep wishing for another person of his calibre among us, but like you very rightly said, we need to find that person within us. It’s so easy to talk about corruption and injustice sitting behind our computers and do so little to truly fight against it – even in our daily choices. You did a great job of this one, Zephyr. I’m looking forward to many more. I love to read about real life heroes. ← All that (Indi)meets the eye, is wonderful!